BOBBY LAPIN, a native Houstonian and active volunteer leader in the Houston not-for-profit community, was born in 1960, graduated Phi Beta Kappa, With Distinction, from Stanford University in 1982, and obtained his law degree, With Honors, from the University of Texas Law School in 1985 where Bobby won the National Mock Trial Competition, finished as a quarter-finalist in the National Moot Court Competition, and was awarded the Order of the Barristers. Bobby is Board Certified in the fields of Civil Trial Law and Personal Injury Trial Law by the Texas Board of Legal Specialization and has been admitted to the bars of the U.S. Supreme Court and Fifth U.S. Circuit of Appeals. Bobby is a Member of both the College of The State Bar of Texas and the Pro Bono College of The State Bar of Texas, and is a Fellow of the Houston Bar Association. In 2018, Bobby was honored to be selected by his peers for membership in the American Board of Trial Advocates and was selected by his peers as a Best Lawyers “Lawyer of the Year” in his field in Texas. In 2011, Bobby was selected for membership in The National Trial Lawyers – Top 100 Trial Lawyers Association, one of only 100 trial lawyers from Texas to be chosen for membership in this association. Bobby has also been selected as a “Texas Super Lawyer” by Texas Monthly magazine in each year starting in 2003 and, starting in 2013, has been selected by his peers for inclusion in The Best Lawyers in America. During his 33-year legal career, Bobby has tried dozens of jury trials and arbitrations here in Harris County and elsewhere, spanning the fields of commercial litigation, personal injury and wrongful death, securities arbitration, employment law and product liability. 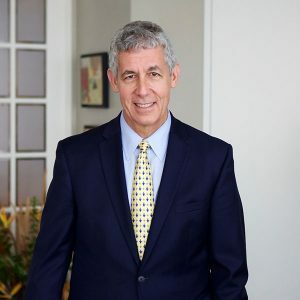 Most frequently, Bobby represents the plaintiff in such cases, though he continues to handle defense cases to this day for both new and longstanding clients of the firm.